Prism In Xamarin.Forms Application For Android And UWP7/21/2017 1:03:27 PM. Reading this article, you will learn how to use prism in Xamarin Forms application for Android and Universal Windows Platform with XAML and Visual C# in cross platform application development. Static And Dynamic Pie Chart In WPF With MVVM Pattern Using Prism Library2/26/2017 5:34:43 PM. In this article, I will demonstrate how you can create either a static or dynamic Pie chart in WPF with MVVM pattern, using Prism library. Static And Dynamic Area Chart In WPF With MVVM Pattern Using Prism Library2/21/2017 10:59:38 PM. In this article, I will demonstrate how you can create either static or dynamic area chart in WPF with MVVM pattern using Prism Library. How To Hide The Legend In Static And Dynamic Column Chart In WPF With MVVM Pattern Using Prism Library2/18/2017 6:28:15 AM. In this article, I will demonstrate how you can hide the legend in a column chart, which is either a static or dynamic WPF with MVVM pattern, using Prism library. Static And Dynamic Line Chart In WPF With MVVM Pattern Using Prism Library2/15/2017 12:07:08 PM. In this article, I will demonstrate how you can create either a static or dynamic line chart in WPF with MVVM pattern, using Prism Library. Static And Dynamic Column Chart In WPF With MVVM Pattern Using Prism Library1/4/2017 11:40:39 AM. In this article, I will demonstrate how you can create either a static or dynamic column chart in WPF with MVVM pattern, using Prism Library. Prism Modularity With Unity in WPF Using MVVM12/12/2016 4:25:50 AM. This article explains Prism Modularity with Unity in WPF using MVVM. Prism Framework for Universal Windows Platform6/20/2016 1:47:40 PM. In this article, I will explain how to implement Prism framework for UWP apps and advantages of using Prism framework. Difference in between Show And Show Dialog To Open A Child Window From View Model In WPF With MVVM Using Prism4/14/2016 12:33:44 PM. In this article, I will demonstrate what is the difference in between show and show dialog to open a child window via the button click event in WPF with MVVM pattern using prism library. How To Add The Dynamic Control Into The View From View Model In MVVM Pattern Using Prism Library In WPF4/14/2016 12:16:48 PM. In this article you will learn how to add the Dynamic Control in to the View from View Model in MVVM Pattern using Prism Library in WPF. How To Fire Button Click Event In MVVM Pattern Using Prism Library In WPF4/11/2016 5:32:27 AM. In this article I will demonstrate how you can write code to fire the button click event in WPF with MVVM pattern using prism library. How To Display And Hide A Control In MVVM Pattern Using Prism Library In WPF4/10/2016 11:58:16 AM. In this article, I will demonstrate how to write the code to display (visible) and hide a label via the button click event in WPF with MVVM pattern using prism library. Getting Started: MVVM Pattern Using Prism Library in WPF4/8/2016 11:51:33 PM. In this article I will demonstrate how to write code with MVVM pattern using prism library in WPF. Introduction To PRISM1/20/2016 11:53:18 AM. This article will describe how to install PRISM and UNITY, and then create a simple WPF application using PRISM. Future of Prism Library5/13/2015 12:09:16 PM. Watch Brian and Brian discuss the future of the Prism library. Prism Event Aggregator in WPF With MVVM4/20/2015 3:03:54 AM. This article shows how to publish events and how to subscribe to them using WPF MVVM and PRISM. Prism and MVVM Step-By-Step1/23/2015 12:09:26 PM. This article will help you learn Prism and MVVM framework. Handling UI Control's Events in ViewModel (Prism 5.0)11/23/2014 12:52:22 PM. This article explains how to data bind a command from my viewModel to an event. In other words, how to make the code-behind not contain any code related to event handlers of a control. PopUps With Interactivity Using ConfirmationRequest (Prism 5.0)11/13/2014 11:46:32 PM. This article shows how to show pop-ups in WPF using a ConfirmationRequest of Prism 5.0. PopUps With Interactivity Using NotificationRequest (Prism 5.0)11/5/2014 11:39:55 AM. In this article, we will learn about INotification and PopUps with Interactivity using NotificationRequest. What's New In Prism 5.0?10/30/2014 5:50:27 PM. In this article you will learn what is new in Prism 5.0. PRISM - Interaction Between Modules Made Easy in WPF10/31/2013 2:10:51 PM. While developing a WPF application with the PRISM pattern I found an easy way to enable interaction among modules without passing the control in the event aggregator using RegionAdapterBase. Volume of Rectangular Prism in F#10/29/2013 3:53:15 PM. In this article I have explained prisms and how to compute the volume of a rectangular prism in a Windows Forms application. Creating a Bootstrapper For Prism Application10/1/2013 9:48:36 AM. This article shows how to create a bootstrapper for your Prism application using WPF with a short explanation of what a bootstrapper is. Silverlight Prism Series - part 18/14/2011 2:27:25 AM. In this article I am going to introduce you to the Prism framework in Silverlight. 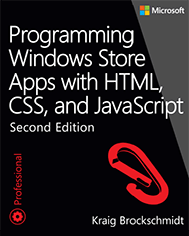 Introduction to Prism - Composite Application Library (CAL) for WPF and Silverlight7/8/2010 8:04:44 AM. Prism (Composite Application Guidance for WPF and Silverlight) is designed to build applications in WPF and Silverlight that have a single code base. It helps to develop the client application in a modular fashion so that complexity of a large application can be divided in to simpler modules. Using Prism Quick Start Kit for Silverlight 3: Part I7/23/2009 12:30:49 AM. In this article we will see how to use Prism Quick Start Kit for Silverlight 3.